Discussion in 'Guides' started by Ezekiel, Jun 17, 2017. 1. You can combine Seed Spheres via the Seed Master NPC. 2. 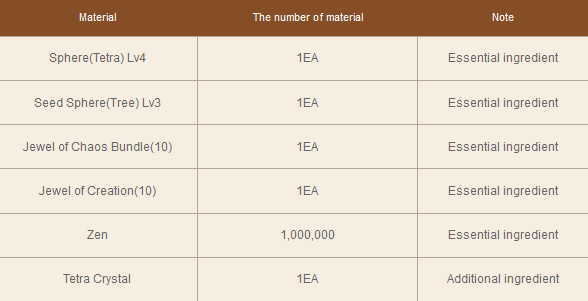 Combining Seed Sphere (Tetra) requires the following materials. - Tetra Sphere can be obtained from level 132 monsters or higher. - Only 1 type of Tetra Crystal can be applied when combining. - All items are destroyed upon failure. What is a Tetra Crystal? 1. It increases success rate of combining 4Lv Seed Sphere. 2. 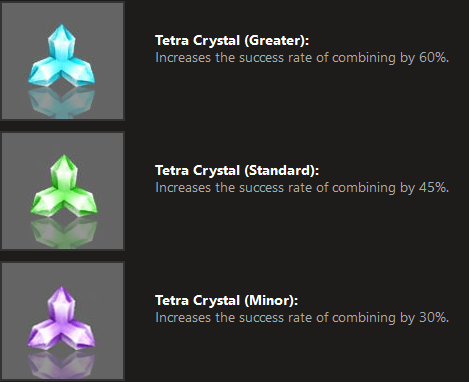 There are 3 types of Tetra Crystal and each of them has a different success rate. 1. If all socketed seed spheres are 4Lv, there is a chance you can get special option. 2. When the socketed seed spheres meet the conditions in the chart below, there is a chance you can get additional options. - Even if all socketed seed spheres are 4Lv, it is not 100% guaranteed to get special option. - Additional options may disappear when you socket/unsocket extra seed spheres. 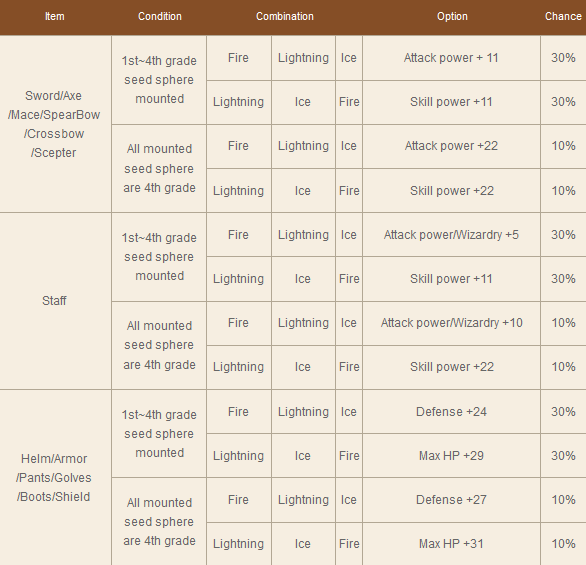 Example: After getting additional options by socketing three spheres (fire, lightning, ice) into an item with 5 sockets, the additional option may disappear when you socket 4th seed sphere on the item. 3. Seed Researcher can unsocket seed sphere. 4. When the seed sphere is successfully unsocketed, it goes into the inventory. 5. When it fails to unsocket, only the material is destroyed while the socketed seed sphere remains.